Hi Everyone! It’s Heidi and I’m back with a cute Halloween card that is way more cheerful than scary. 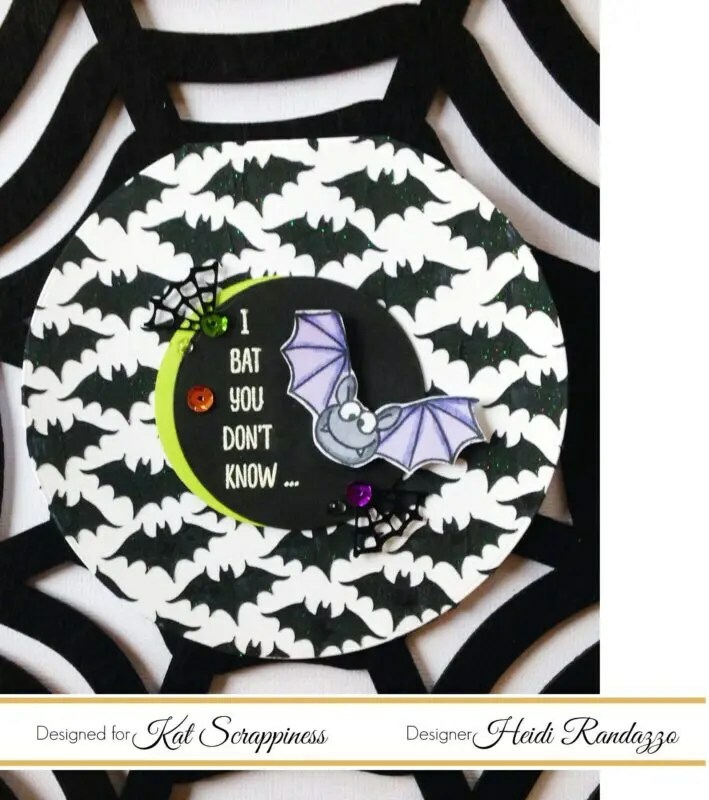 I’ll be using the Never Ending Circle Dies along with Echo Park’s Bat’s #2 stencil and a fun stamp set from Gerda Steiner. 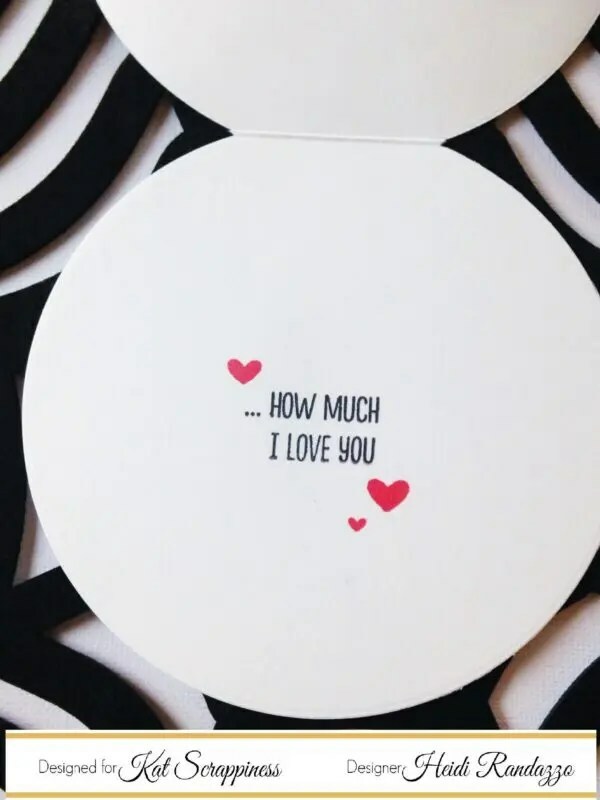 I created a circle shaped card using the largest circle from the Never Ending Circles die set. 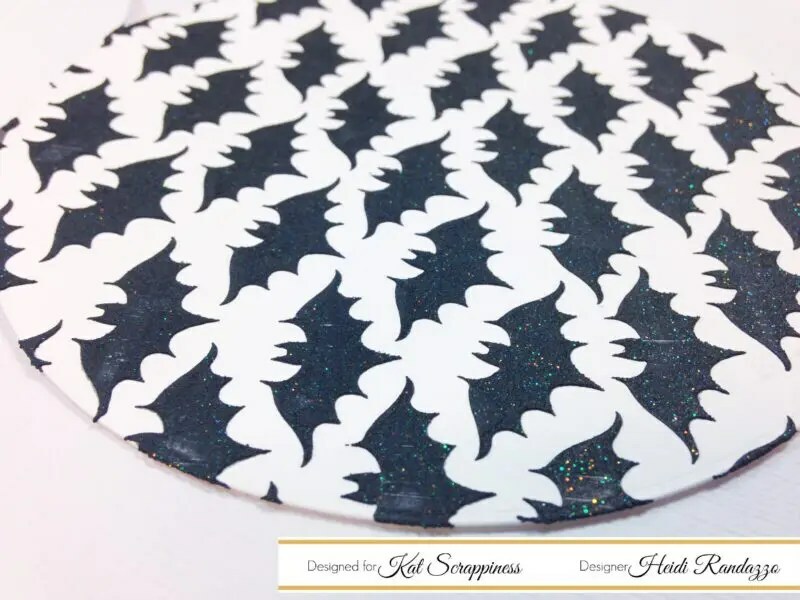 The fun part was creating my own shimmery texture paste using Ranger opaque Texture Paste, Memento Tuxedo Black re-inker and some Sugar Glitter Paste. A fun, “pun” makes this a happy card to send to someone special. I have a video showing how I put this card together. Enjoy! You can head over to the Kat Scrappiness store to shop for the supplies I used on this project (also linked below). Be sure to use the coupon code: Heidi10 to receive 10% off your order.